Porcelain veneers are a very popular smile solution. Fabricated from porcelain, veneers are thin shells that your dentist bonds to your teeth. It is a simple process with an endless list of benefits. Your smile can say so much! So, if you have chips or cracks, veneers can disguise such imperfections. Veneers can also be used to whiten and brighten your smiles. Plus, because they are uniquely crafted for your mouth, their shape and color will look extremely natural. Lastly, they are extremely durable when you properly care for them. Do you have a gap? What about crooked teeth? Or, are you just looking for a way to permanently whiten your teeth? A quick evaluation by your dentist can determine if veneers are the right option for you. So, schedule an appointment to come in and learn more! Are You Looking for Cosmetic Dentistry in Jupiter? Our job is to guide you toward your dental goals. 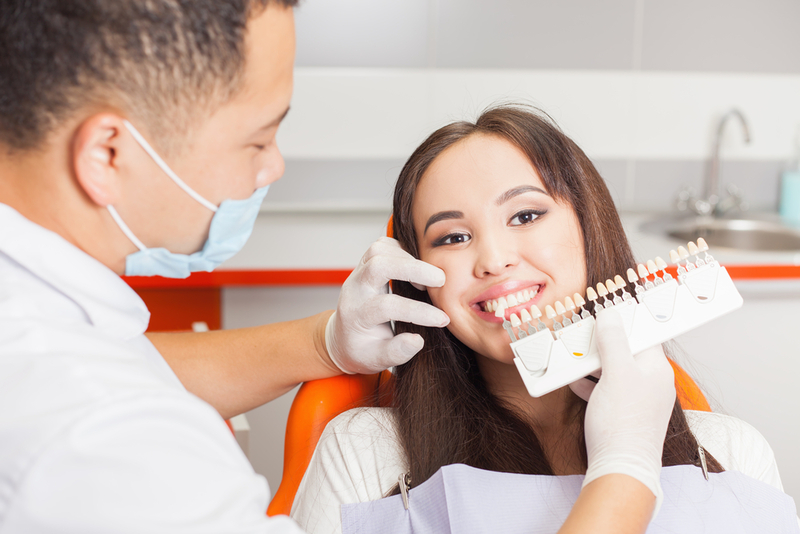 If a whiter and brighter smile is what you want, we have an array of options for cosmetic dentistry in Jupiter to get looking and feeling better! So, contact us at Premier Dentistry today to schedule an appointment!